It’s that time of year again! The annual Wicked Winter art show at Talleyville Frame Shoppe in Wilmington, DE is Friday, March 7th. I’ll have a couple new pieces on display, along with a bunch of other really awesome artists. 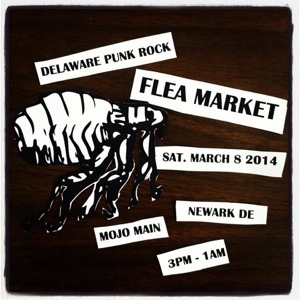 I’ll also be vending at two events coming up in March: the Delaware Punk Rock Flea Market and the Trenton Punk Rock Flea Market. The Delaware PRFM is Saturday, March 8th, 2014 at Mojo Main in Newark, Delaware. This event goes from 1pm till 1am and will include artists, record stores, record distros, bands selling merch plus a lineup of 14 punk bands from Delaware and Pennsylvania (including my band, Disaster Committee). I’ll be selling prints, original art and comics. This will also be the debut of my newest mini comic. 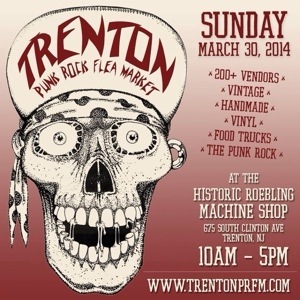 The Trenton Punk Rock Flea Market will be held March 22, 2014 from 10am-5pm at the Historic Roebling Machine shop in Trenton, NJ. This event has over 200 vendors selling art, clothing, records, etc., as well as food trucks. The Trenton PRFM will be also be the official release date for my new book, “Odd Conversations”. It’s a 32 page collection of out-of-print DIY comics that I’ve done over the past couple years plus a section that includes a tutorial on making your own comics.